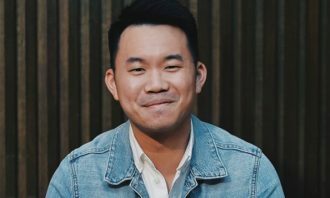 For brands aiming to reach more consumers and raise brand awareness on social media, there were plenty of learning lessons in 2018. 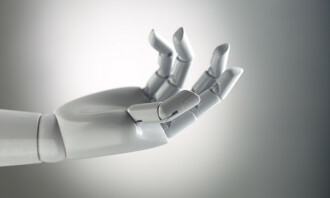 According to Socialbakers’ 2019 Social Media Trends Report, social media marketers found themselves having to aim for targets that were not only moving, but morphing into new entities altogether in 2018. The study added that median of interactions on the top 500 global brand and media Facebook Page posts started to decline over 2018. That is a decrease in 50% of engagement from what pages experienced in January. However, this is in line with Facebook’s expectations when it changed its algorithm to prioritise content from friends and family over media and brand. 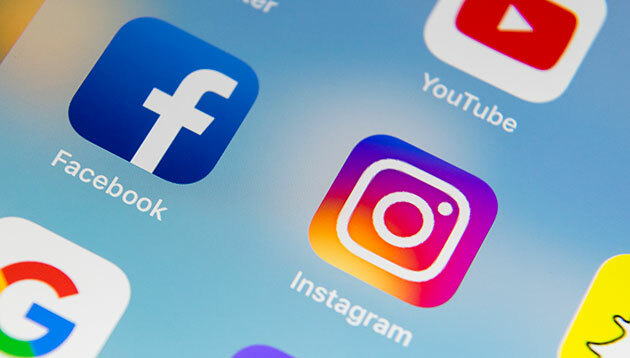 When comparing ad spend distribution by platform from 2017 to 2018, Socialbakers said that Instagram ads increased in 2018, whereas ad spend on Facebook decreased. There was another important shift in advertising formats, from the News Feed to Stories. It added that Instagram, which has a smaller audience size compared to Facebook, had far more engaged users than on Facebook. This demonstrates that Instagram is the go-to for capturing quality engagement within smaller communities, and will likely be the trend in 2019. “Instagram is becoming the #1 social media platform when it comes to engagement for brands. When we look at engagement on an absolute level, Instagram has a lot more engagement for brands than Facebook, despite having a significantly smaller audience size. 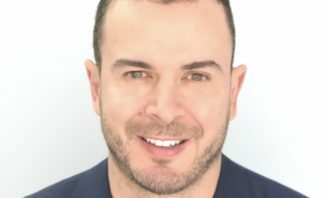 As a result, we see businesses leveraging Instagram for advertising more than ever before,” Yuval Ben-Itzhak, CEO, Socialbakers said. When it comes to the most engaged users by industry across Instagram and Facebook, there is a clear distinction between what content users value more on each platform. For Instagram, Fashion and Beauty dominate, whereas E-commerce sparks the most interactions on Facebook. 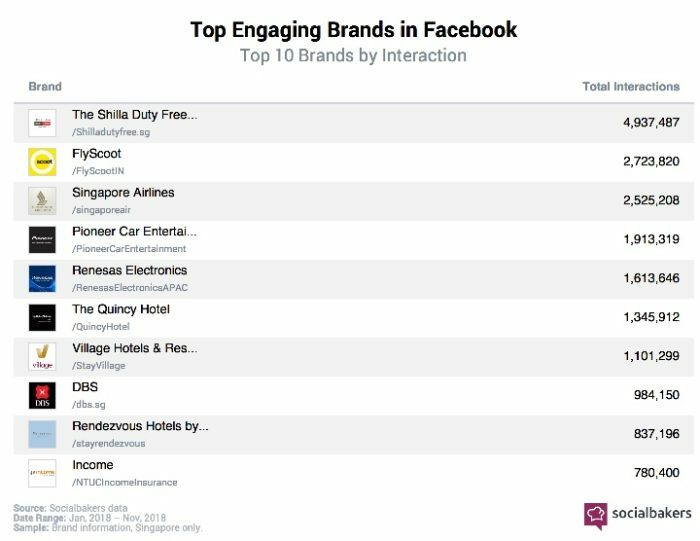 Socialbakers took a look back at Singapore’s best performers in 2018 in terms of interactions and fan growth on social media platforms – Facebook and Instagram. 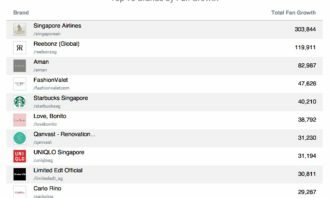 Even though Singapore Airlines only ranked third on Facebook, Singapore’s iconic aircraft carrier took the top spot on Instagram, with 3.8 million total interactions – almost 2 million more total interactions compared to sneaker store Limited Edt Official, which came in at second place. 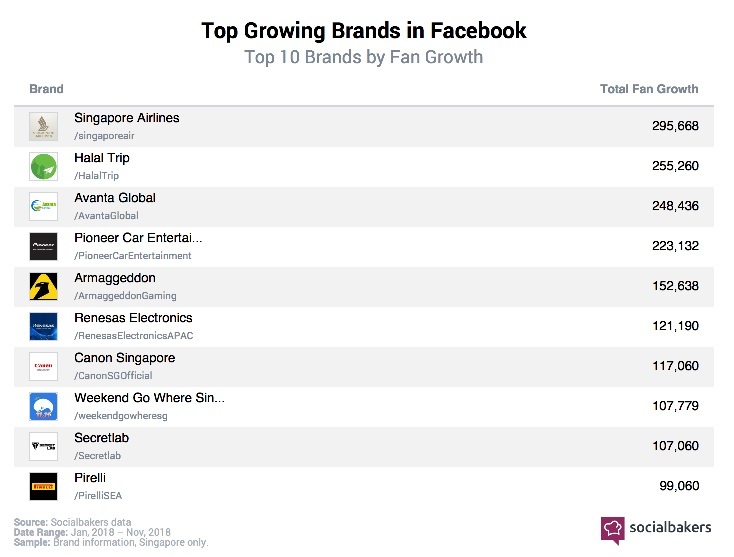 Singapore Airlines took the lead as the top growing brand on Facebook with close to 300,000 increase in fans. 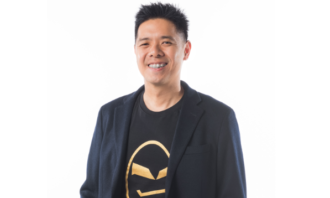 Avanta Global, a training and consulting company in Singapore, took the third spot with around 248,000 increase in total fan growth – showing that interest in upskilling and educational courses have struck a chord with Singaporeans this year. 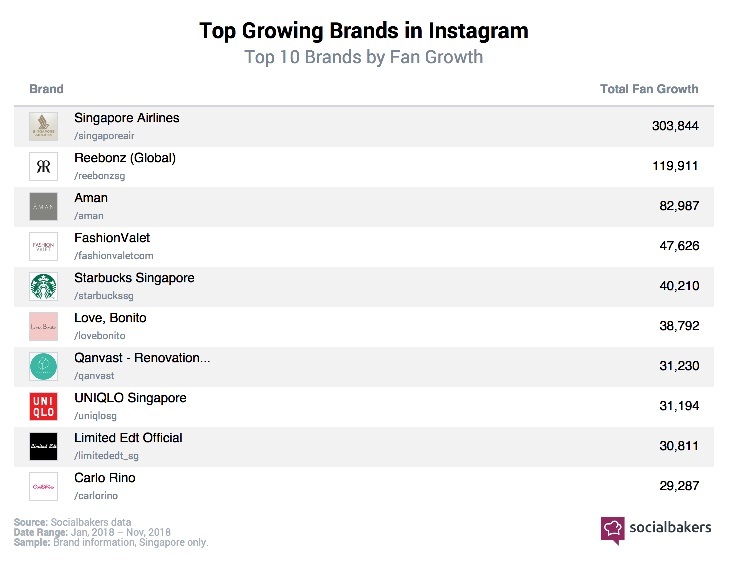 It is no surprise that Singapore Airlines also took the top spot on Instagram in terms of total fan growth, with more than 300,000 fans clicking the ‘follow’ button. 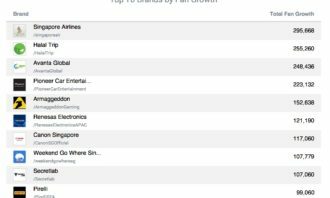 Fashion and e-commerce brands had a strong uptake in total fan growth, with Reebonz (Global), FashionValet, Love, Bonito, Uniqlo Singapore and Carlo Rino taking five out of the 10 spots. Coke on sugary drinks ad restriction: How should brands market in this space? The company also saw its operating expenses, which comprised mainly of establishment, staff and marketing costs, increase by 32.3%.. This appointment was made in tandem with the company’s strategic focus on emerging markets. ..